What's the main difference between a small local agency and a global agency powerhouse? Aside from their big fancy offices, hundreds of employees, and endless stream of employee perks, the answer boils down to one simple thing: clients. And not only the type and size of their clients, but also the sheer number of them. So with this in mind, you might be asking yourself: how can I get more clients for my agency? Well the answer to that is simple, go out there and get them. But I'm not here to give you a pep talk on motivation. I'm here to give you 30 actionable ways to start getting more agency clients today. You may have heard the advice to "start a blog" at some point or another. But the biggest problem that agencies run into when getting started with blogging is knowing what they want to focus on, and how to go about getting started. Blogging is about helping solve your customer's problems. It's about identifying their pain points and creating content that resonates with their specific needs. Other than publishing to a dedicated number of email subscribers (which can be achieved through generating email opt-ins through pop ups, landing pages, and social contests), the primary goal of blogging is to be found through search. 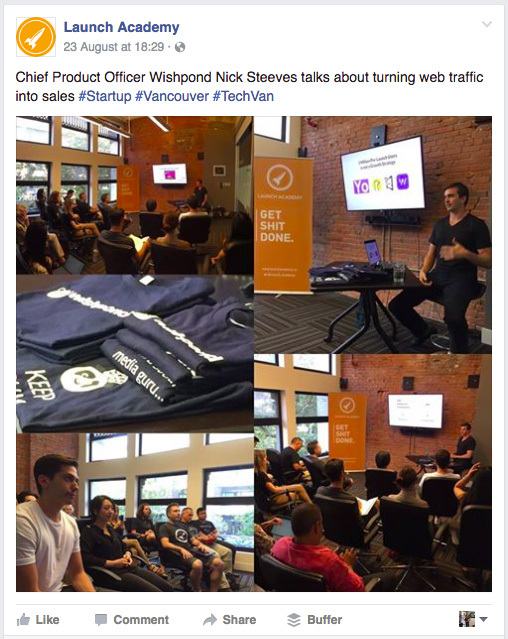 Take a look at an example of how we use blogging for SEO at Wishpond. Since one of our products is an Instagram Hashtag Contest, we wrote an article called "52 Tips: How to Market on Instagram". In it we broke down 52 different ways businesses can market themselves using Instagram. Included in that list was our Instagram Hashtag Contest. 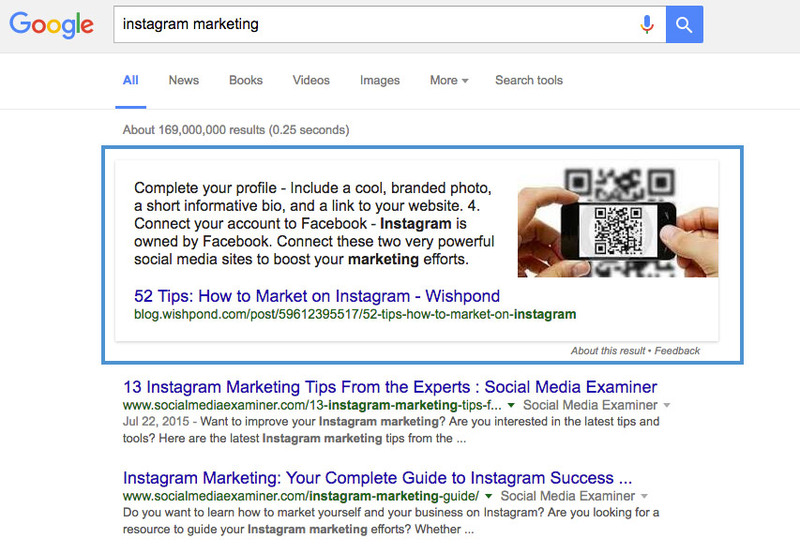 After publishing a great article and after a little SEO, now when people search for "Instagram Marketing" that article is the first search result. Using blogging this way we're able to drive a ton of inbound traffic and turn a portion of that traffic into paying customers. For more tips on how to get started with blogging, check out 6 Types of Content We Used to Grow a 250,000 Reader Blog. Guest blogging is a great way of increasing the visibility of your brand and developing thought leadership in your space. However guest blogging is a long term strategy that you won't see results from overnight. Eric regularly writes articles helping small businesses with social media marketing and marketing strategy. At the bottom of each of his posts he includes a small link back to his agency's website for users to learn more. 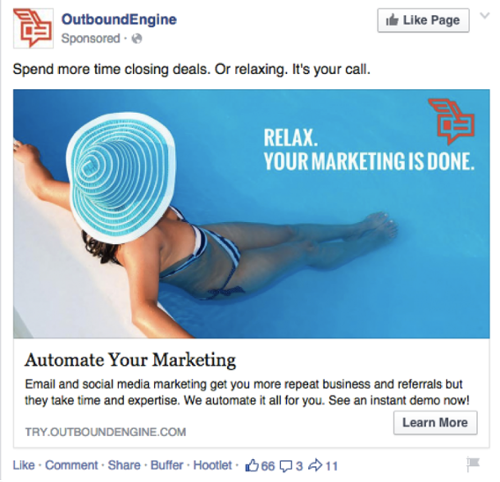 Facebook ads are one of the best places to start when looking to score more agency clients. And that's because comparably, Facebook ads are cheap given the amount of reach and targeting you get built into to each campaign. 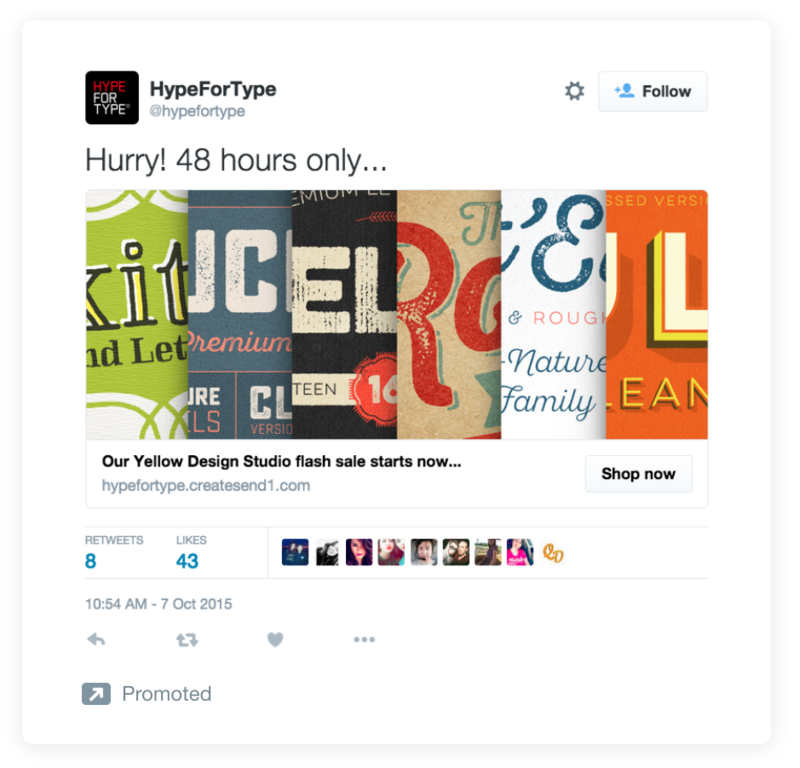 Try either boosting posts, or creating a simple facebook ad campaign to get started. For a complete walkthrough of how to create a high converting Facebook ad campaign, check out our Complete Guide to Facebook Ads. 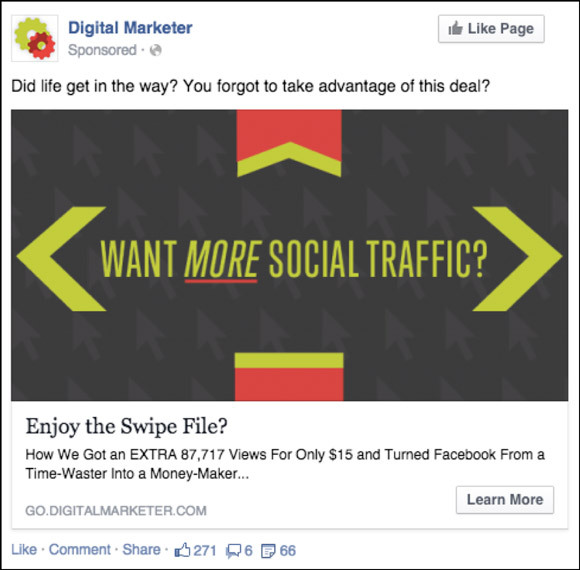 Pro tip: Use Facebook ads to drive traffic to a squeeze page giving away an electronic offer. Squeeze pages can help increase your total number of conversions while providing you with enough information needed to nurture leads into sales. Google AdWords are one of the best ways of locating new clients in your area. And that's because rather than using demographic information to target users (age, location, etc), you're targeting them based on their specific keyword intent. 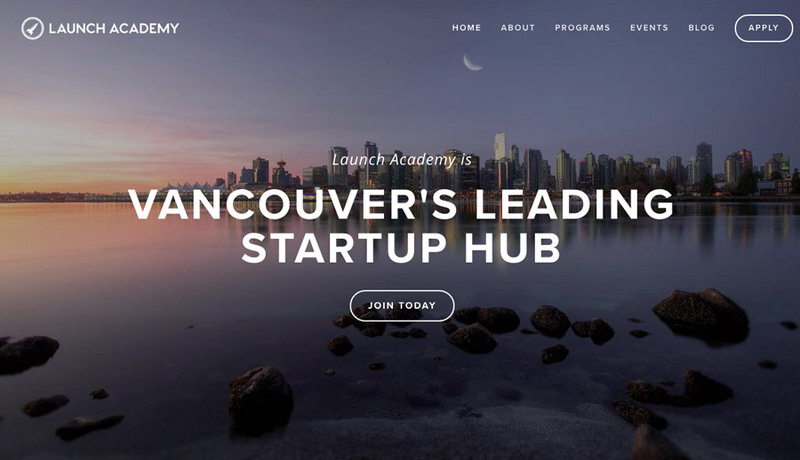 For example, when users search "vancouver web design", that's one of the strongest indicators that they're looking for a web design agency in Vancouver. The only problem is that with high intent for keywords, comes high competition for keywords. This in turn drives up the price per click (ppc) for those high intent phrases, something that can make Google AdWords unaffordable for small agencies just starting out. The only way to mitigate the high cost of Google AdWords is to ensure that every click that you're paying for has the highest chance of conversion possible. That's why we always recommend using a dedicated landing page which significantly improves the chances of conversion. That way you'll know you're getting the most out of every click, and aren't leaving any money on the table with ads. 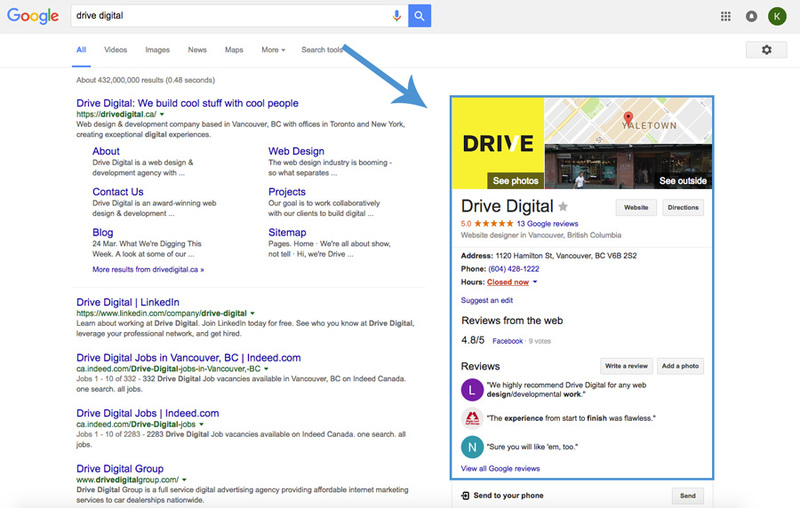 For step-by-step instruction on how to get started with Google AdWords, check out our article Getting to the Top of AdWords. If you're an agency, LinkedIn can be a great place to find new customers. And that's because the types of people that tend to be on LinkedIn are they exact audience you're looking for as an agency: other businesses. 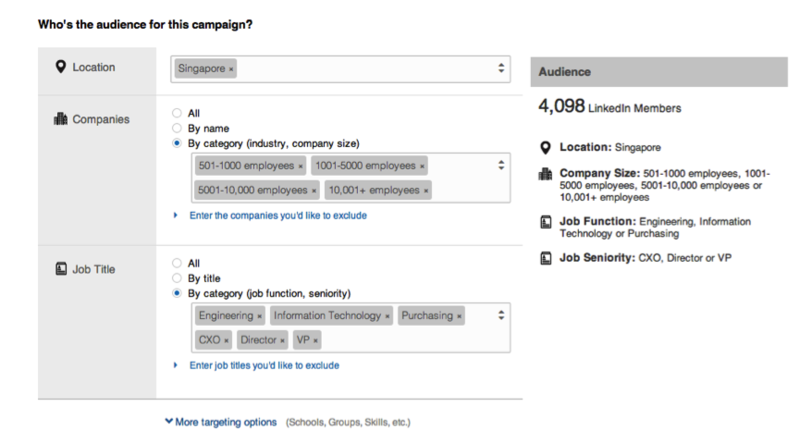 LinkedIn also lets you get a lot more granular with your targeting then would be possible on other platforms. This is primarily because people are much more likely to keep their professional job titles and experience updated on LinkedIn rather than Facebook and other networks. Use LinkedIn to filter though companies of a certain size, within a certain demographic area, or by people with a specific job title. Honing in on your audience this way is a great way of differentiating between employees of a relevant company, and key decision makers. Twitter is one of those go to spots on the web that professionals can go to find new content and connect with likeminded individuals. If you do decide to try Twitter ads, remember to keep a close eye on the analytics of your ad. Depending what niche you target and which hashtags you use, the total number of engagements on your Tweet could be inflated due to a number of reasons. Always drill down to the total number of clicks and the actual amount of traffic that you're driving rather than focusing on the total number of Likes and Retweets. Even if your agency doesn't have a huge email list, that doesn't mean that you can't end up in the inbox of relevant prospects. 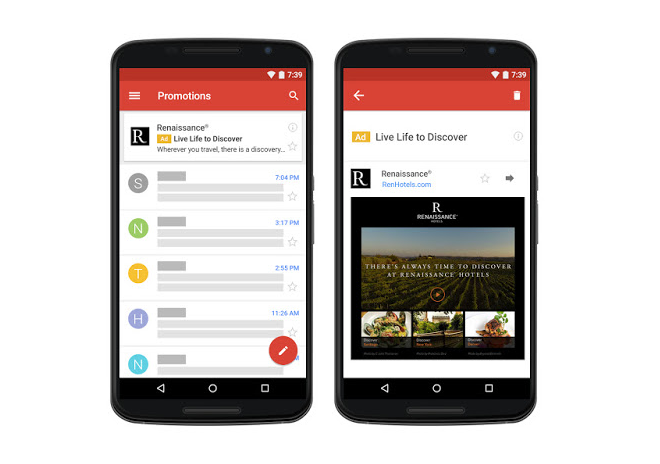 Gmail ads allow marketers to target specific users by placing ads that look like emails above their inbox. When a user click on this ad, they are then brought to an editable HTML ad space that resembles an email. One interesting trick for using Gmail ads includes the ability to target users based on specific keywords inside of their inbox. This means that you can target a user who has emails from any of your competitors, relevant brands, or any other industry publications that you think would be useful for defining a prospective customer. For more information on how to target users based on your competitors keywords, check out 5 Growth Hacks to Maximize the ROI From Your AdWords Campaigns. Did you know that Instagram has over 500 million monthly users? Maybe you did, and maybe you're even one of those users. But what a lot of marketers don't consider is using Instagram as an advertising channel to reach their target audience. 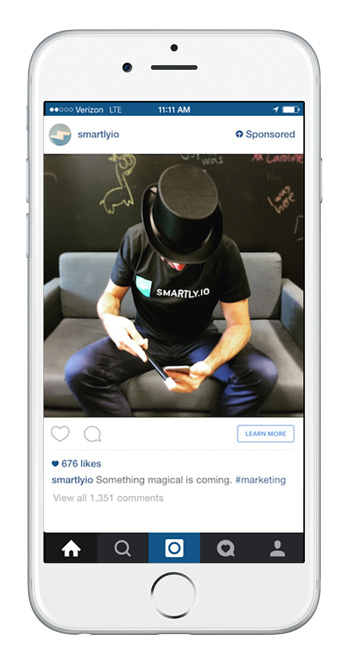 The trick for advertising on Instagram is to create content that stylistically fits within the feed of native content. That includes creating ads with nice visuals, inspirational captions, and great overall design. For a step-by-step walkthrough of what makes a great Instagram ad, check out our article The Anatomy of a Perfect Instagram Ad. Capitalize on lost traffic by using retargeting (also called remarketing) on Facebook, Twitter, or Google AdWords. Retargeting works by placing a small tracking pixel in a user's browser which allows targeted ads to be shown at various places around the web. Since the people that you'll be targeting have already been to your website, retargeting ads have been shown to have a lower CPC than traditional ads, and can help build long term brand recognition. And since you can specify which ads to show based on what types of website pages and content a user has viewed, you can tailor your retargeting ads to re engage users based on any offers that they might have seen previously. If you're interested in getting started with retargeting ads, check out 5 Great Retargeting Examples and Ideas for Inspiration. Creating online courses is a great way to share your expertise while simultaneously building up a list of prospective customers. Courses can help increase your agency's authority online and if done right, can have customers actively seeking you out for your area of expertise. 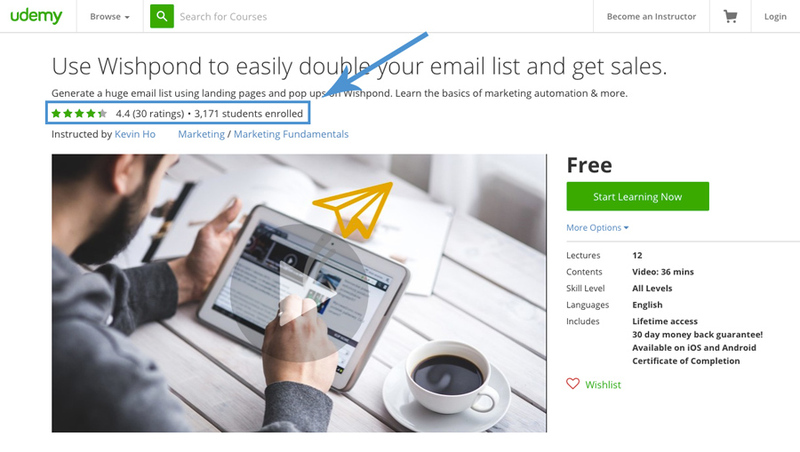 Take a look at a course we created created last year called Use Wishpond to easily double your email list and get sales. Notice how the course has over 3,000 total enrollments. That's 3,000+ people within our target audience interested in learning about digital marketing and building an email list. If you choose to create a paid course (one that charges for student enrollment), you'll also be able to send promotional announcements promoting special offers, consultations, etc. Especially for agencies focused on attracting more local clients, there are few activities that can generate more targeted interest than running a local workshop. And that's because local workshops are a great way to meet face-to-face with prospective customers, answer any questions they might have, and position yourself as an expert in your industry. During the talk Nick was able to teach the audience about how to create a sales funnel, the role that Wishpond could play, and offer a special offer to everyone in attendance. Ready to put you agency on the map? 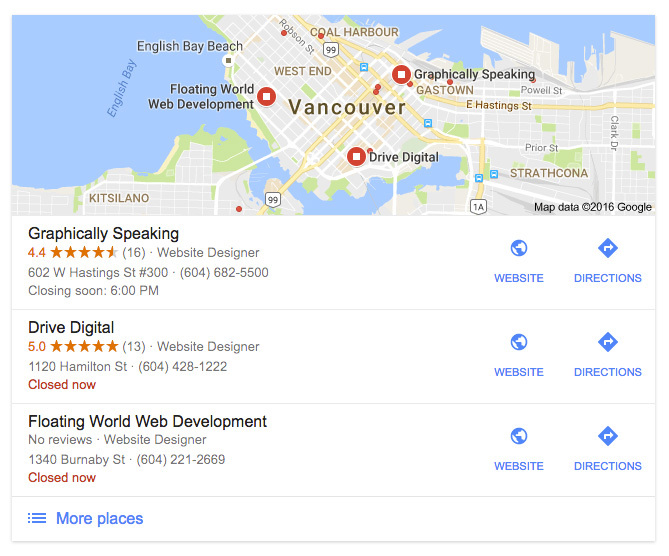 Well creating a Google My Business Page listing is the first step to getting your agency listed. By creating a Google My Business Page account, you'll be able to capitalize on any branded search terms by occupying a prominent area business listing on the right side of Google. 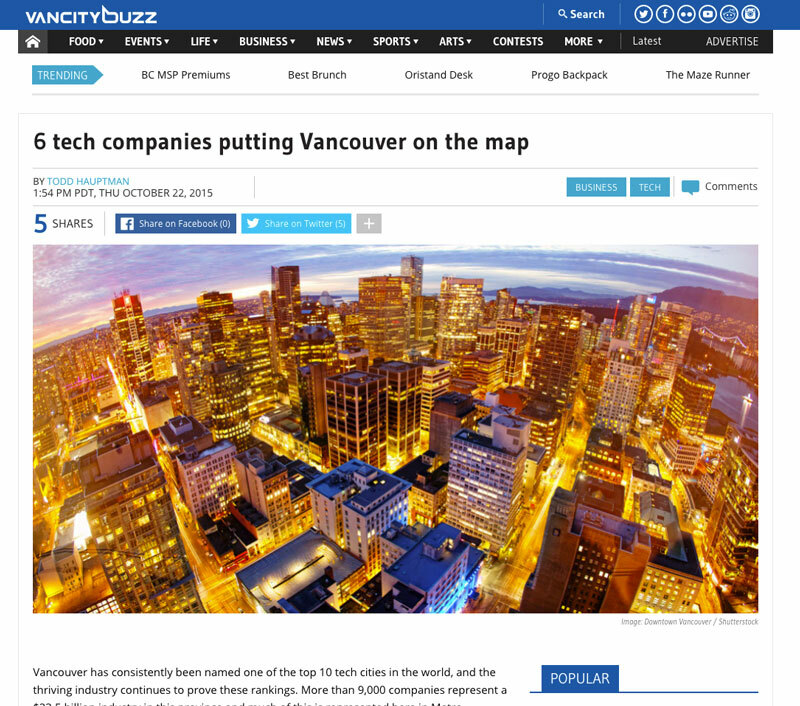 While also appearing within the Google Maps search results when people search for your company's services locally. Creating a Google Business Page listing isn't going to drive a wave of new traffic overnight (similar to SEO), but it can help add to the discoverability of your company and website over time. To get started with a Google Business Page, click here. Depending on where your agency is based out of, different cities will have a different number of local directory websites. Directory websites act as a repository businesses all operating within a variety of niches. Submitting your agency to different business directories is useful for a number of reasons, firstly it acts as another location online which your website can be found online. Secondly adding your website to different local directories is a quick and easy way to build up your agency's SEO ranking by adding new inbound links. To find local business directories, search "[your city] business directory" in Google to get started. 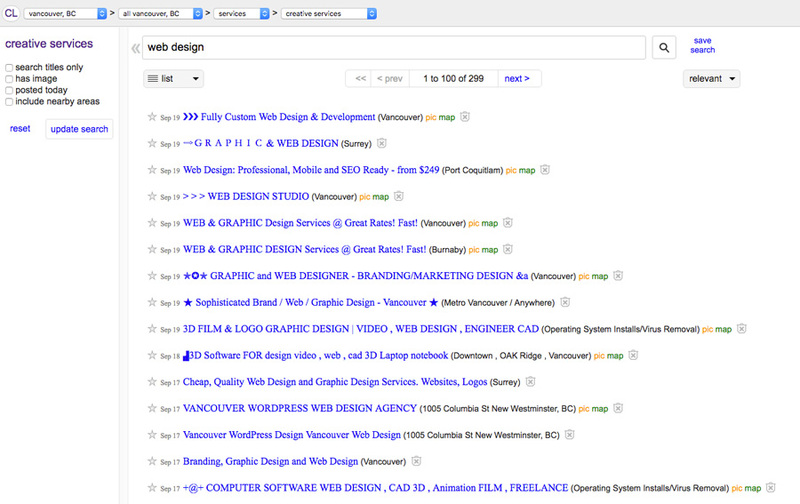 Community boards such as Craigslist and Kijiji are a quick and easy place to post a simple service offering. Generally this can be done under the "Services" sections. Remember, if deciding to post on one of these boards to include a very simple headline describing your services, add images or samples of work, and a clear call to action on how users can get in touch with you. Quora is a great place to connect people with questions, with the people who have answers to those questions. For agencies, this is a great opportunity to get front and center in front of the people who are interested in the services that you provide. Generally speaking, you won't be making a sale directly from Quora. 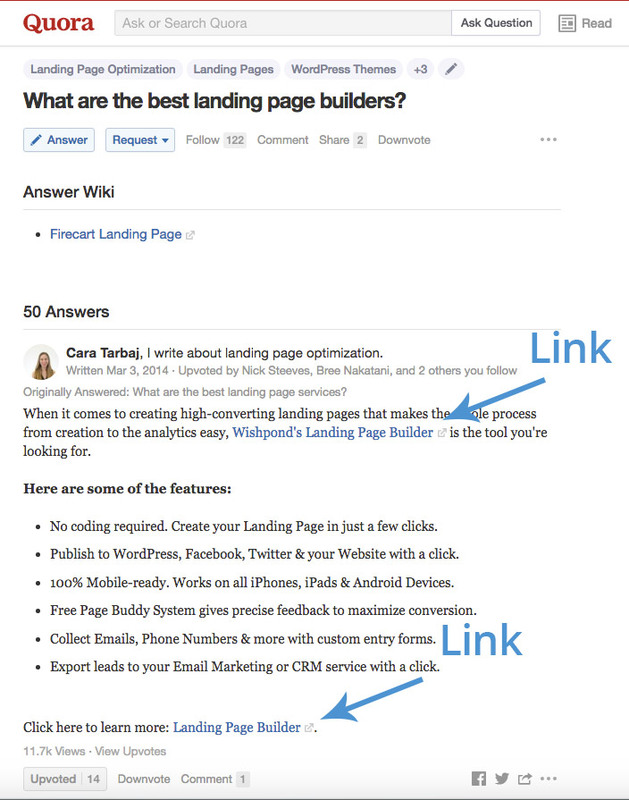 Rather, Quora is a place where you can establish credibility, help to thoughtfully answer peoples questions, and then provide information via links to blog posts, service pages, and other relevant content on your website. Take a look at this answer from one of our team members answering the questions "what are the best landing page builders?" Also notice how she was able to answer the question, but then add an additional link to our website. For more information on how your agency can start using Quora, see How We Answer Quora Questions to Drive Traffic to Our Website. If you're familiar with Reddit, you probably know that the community isn't keen on overtly being marketed to. But that doesn't mean that you can't leverage the platform to help drive traffic back to your website. Take a look at this example of an article featuring a senior member of Facebook's management team. Posting on Reddit allowed them to spark a conversation around their content while simultaneously push traffic back to their site -- where they could eventually make a sale. For more information on Reddit marketing, check out Startup Bro's article Cracking Reddit: How to Get Thousands of Visitors to Your Campaign with Reddit Marketing. There are a number of different ways to use LinkedIn to market your agency. The first is to run ads, the second is to publish consistently as you would on any social network, and the third is the engage in the conversation of relevant online communities. 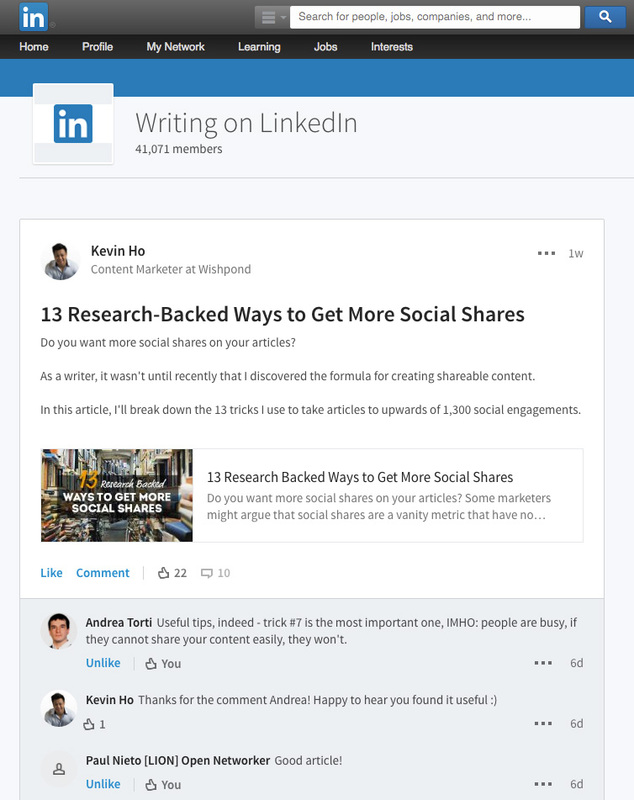 At Wishpond we our content creators are active in a number of LinkedIn groups all based around marketing, entrepreneurship, and growth hacking. We make a point to comment on posts, add value to conversations, and share new posts in order to drive new traffic to our site. As you can see posting content this way is a good way of getting in front of a relevant audience and starting a conversation around your different types of content. 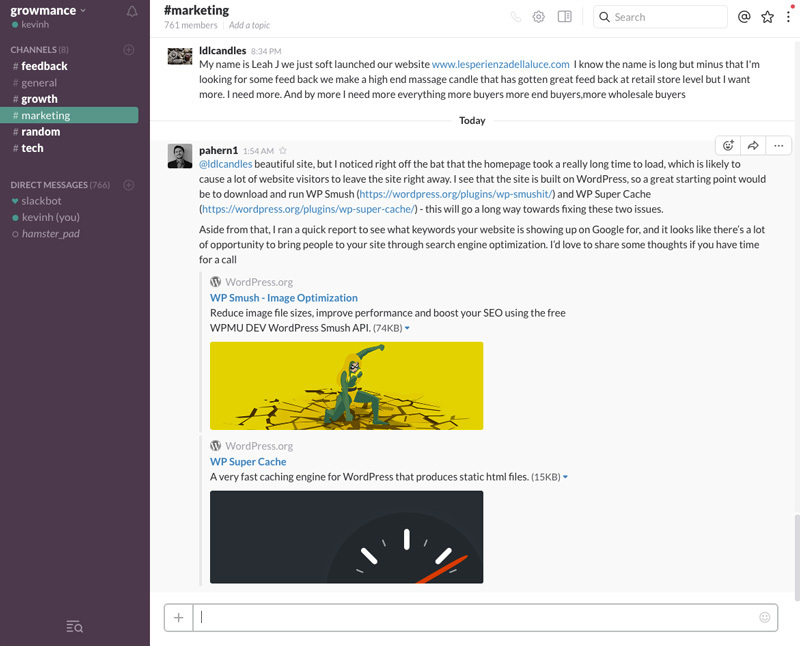 Did you know that Slack can be used for a lot more than just internal messaging? There are a number of Slack groups online dedicated to marketing, design, tech, etc. A quick Google search with "[keyword] slack group" should reveal a number of different slack groups which you can apply to join. Once inside you'll be able to connect with a variety of likeminded individuals in a similar space and trying to meet different business objectives. This can be a great place to build relationships, share content, and get exposed to new clients. Speaking at an industry conference is a great way of showing off your personal expertise while at the same time increasing the visibility of your brand. At Wishpond we've recently gotten more involved in the conference scene and have seen a great return on investment from curious audience members after each talk. 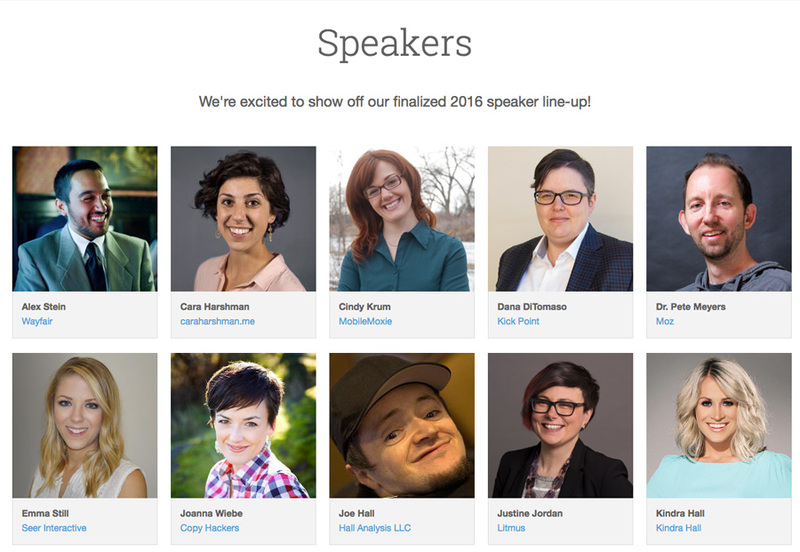 For more information on how to get started speaking at a conference, google "[keyword] conference call for speakers". The only thing better than speaking at a conference is hosting one. Now this might not be an easy feat as it requires you locate event space, speakers, market the event, and deal with a laundry list of other issues in order to get the event off the ground. That being said, hosting a conference can be a great networking tool used to develop strategic partnerships and can be a great tool for brand awareness and sales. Even if you don't have the time or resources to host a conference, that doesn't mean that you can't be involved with a conference. 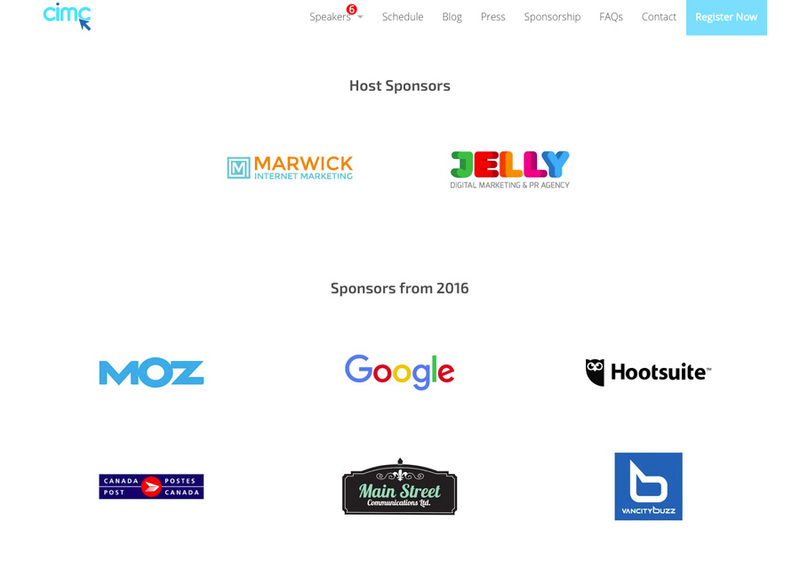 Sponsoring a conference is a great alternative as it give you access to the same group of people, can help increase your brand's reach, and often comes with other perks like conference tickets, booths, or access to VIP dinners, etc. To find out more about conference sponsorship opportunities, simply search for relevant conferences and add the word "sponsorship" after in Google. Love entertaining? 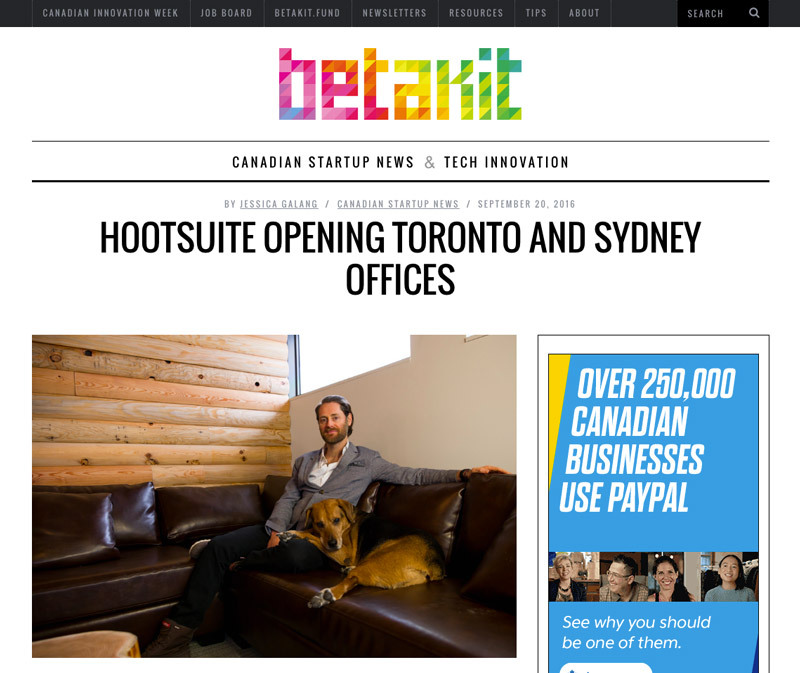 Try hosting an open house at your office. Open houses are a great way to get to know your customers, partners, and prospective customers. Simply post a link on meetup.com and provide some details about the event. Generally some refreshments and light snacks are all it takes to get people in the same room. Once people are there it's a great chance to explain what your agency is about in a casual way and start to spread the word about your services within your area. 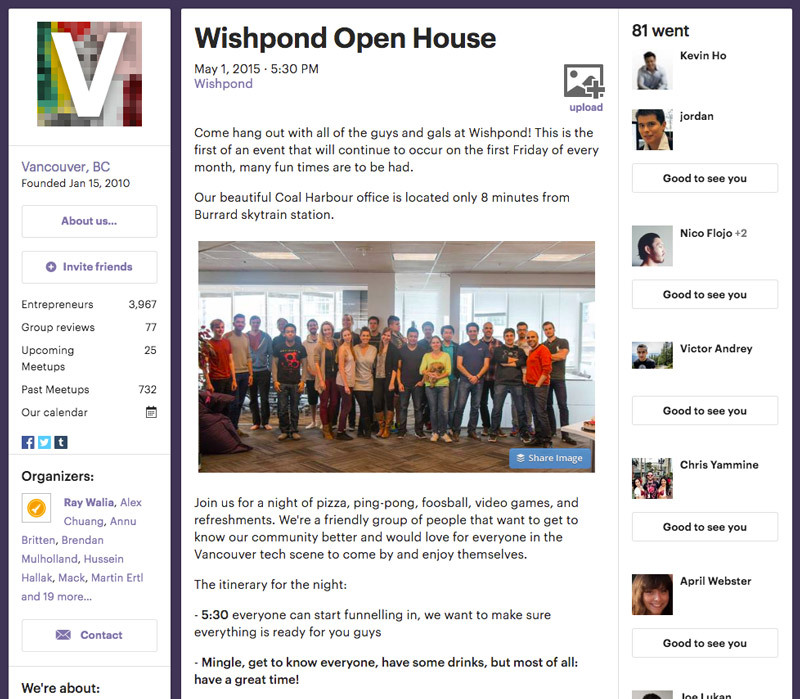 Here's an example of a open house event page from one of Wishpond's past events. Partnering with small business meeting up groups or a startup incubator can be a great way of finding new clients. And that's because people coming through these types of programs are the exact people you're looking for: people who need design, marketing and web development services. Start by searching online for "[your city] startup incubator" or "[your city] small business meetup" and reach out to them to see if there's any partnership opportunities. Oftentimes these types of organizations will be happy to offer a discounted rate to their members if you're willing to contribute to the community in some way. Depending on where you work and what city you work out of, there will be a different number of businesses that you could potentially partner with that don't compete with you in any way. For instance, if you're a motion graphics agency, you could become the preferred partner with a web development or graphic design agency. Alternatively if you're a web development agency, you could initiate contact with a marketing consulting firm as a way of helping them more fully serve their clients. The key is to consider who you already know in your area, what their customers are looking for, and how you can better help them meet their desired outcomes. Partner with another agency? Did you just read that heading right? Aren't other agency's your sworn competition? If you're a new agency just starting out, the type of clients that you'll be looking for, the scope of the projects you'll be looking to complete, and the price point of the deals that you'll be securing will likely be much different than that of a well established agency. The sheer number of inbound leads and potential opportunities available to a more well established agency will also differ drastically from agencies just starting out. If you can prove that you can consistently produce high quality work, and you're able to do so at a price which can still allow a bigger agency to make a profit, it is possible to obtain outsourced agency work on a contract / ongoing basis. I won't go into the exact details of how to secure a partnership like this, but there was a great quora answer written about certain strategies that can be used to aquire your first outsourced agency deal. Local small business networking events are a great way to meet more people and potentially land some more client projects. Even if it's a talk or expert panel, there's usually time allocated before or after the event for casual networking to take place. Check sites like meetup.com for events happening in your area. If you're new to networking, check out Larry Kim's awesome article 7 Painless Networking Hacks for Introverts. Each and every person at your agency is connected to more people than you might think. Whether it's friends, family, acquaintances, old class mates, the list goes on and on, there's always more potential connections than you might initially imagine. As simple as it might sound, just asking for referrals and utilizing your network can be a quick and easy way to score more client projects. PR is a great way of garnering attention for your startup. But generally speaking, no one want's to publish a story about the specific services of your business and how you differ from your competitors. Instead, write the story of the inception of your agency, how the co-founders met, what core problems your company was trying to solve, what struggles you went through, and what values you believe in. This makes a much more interesting and readable story that if pitched to the right publications, can help raise awareness about your brand and drive direct traffic back to your website. Don't just use PR to talk about the founding of your company, use PR to circulate new developments and company announcements to the public. This strategy requires that your agency has a decent amount of visibility in the public eye, and that people would even care enough to read about what's happening next. Agencies can spend time building relationships with reporters, providing value, and establishing themselves so that in the case of a big development down the road, they'll have a contact and avenue to get some PR traction. There's another way to get into the news that doesn't require your company is that well known, or has a recent development to announce, and that's to write an article yourself and submit it as a guest post. 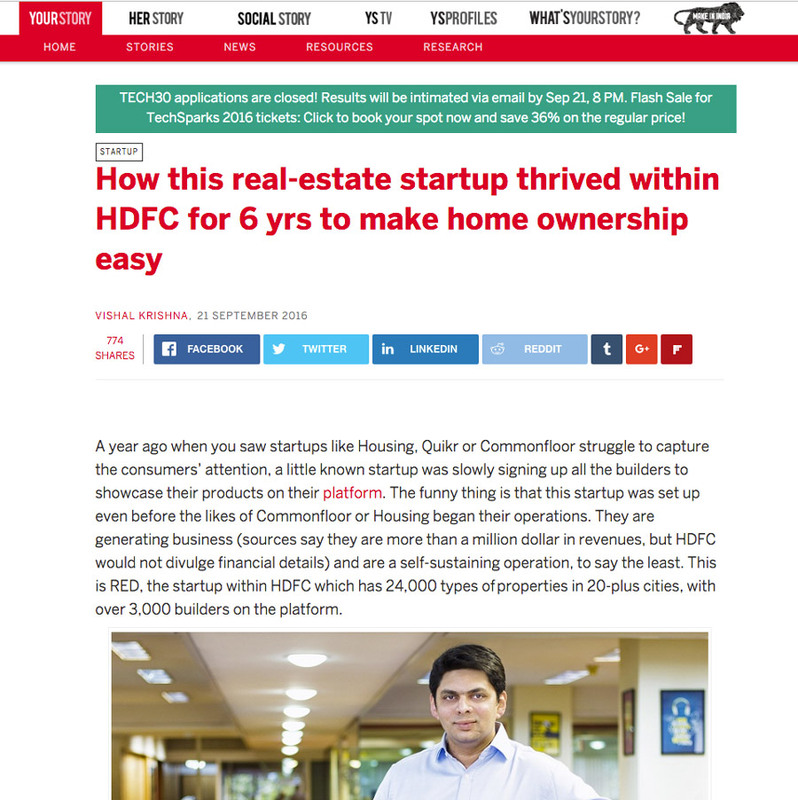 In an article like this you can frame a story and include yourself as apart of it. Remember to include relevant links back to your site, and have your bio link pointing back to your website as well. Publishing articles this way is a long term strategy that can help get your company on the map, and drive small amounts of traffic back to your website. Getting more agency clients doesn't have to be a mystery, in fact the path to finding more agency clients is actually relatively straightforward. But that relies on one fact: that you put in the work. Each of the ideas listed above might not work for every agency, that being said it can act as the basic building block to get you going in the right direction. Get out there and get some more clients.